Clean tile and slate with warm water only. Prevention becomes essential with these floor surfaces. Regularly apply a sealant found in tile stores to slate, tile and especially the grout. Clean spills immediately. Cleaning stains out of grout can test your patience. 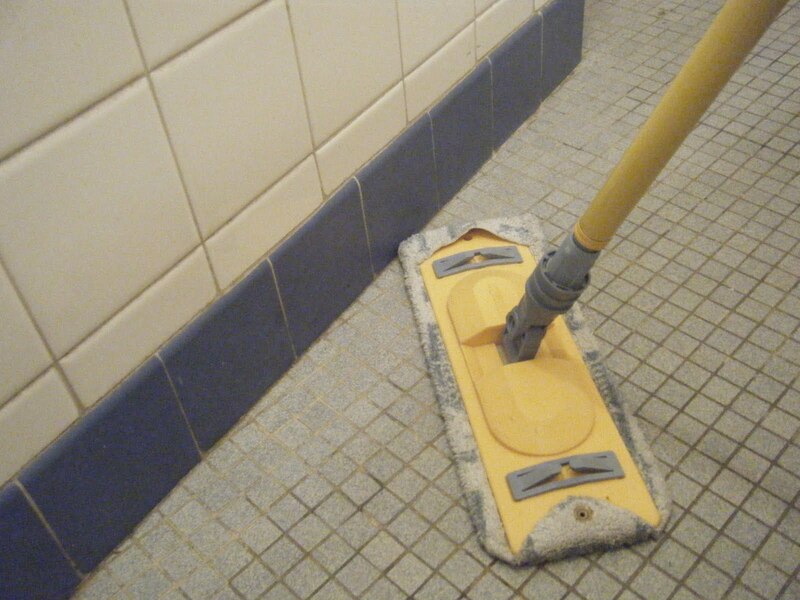 The porous nature of grout means liquid cleaners seep right through. First thoroughly spray a 50/50 solution of hydrogen peroxide and water directly on the spot. Let that set 15 minutes and repeat. Do not use this mixture on colored grout. Peroxide is bleach, safe but nonetheless bleach. It removes the color from colored grout. If the stain refuses to budge, soak a heavy-duty paper towel with straight peroxide laying the towel on top of the stain. Cover the towel with plastic wrap to prevent the peroxide from drying out quickly. The towel holds the peroxide on the surface giving it time to dissolve the stain. If that doesn’t work, mix a paste of straight peroxide and baking soda. Allow the bubbling to subside. Apply to the stain and let it set. Re-spray with peroxide as it dries out. Shaving cream sprayed on stains also does a good job removing them. If your grout is colored test an inconspicuous spot first. Tile stores now carry a cleaner stick that resembles chalk. It is safe to use on colored grout and works wonders. After you remove the stains from the grout, seal them.